LUV the Vespera Bionic serum-have been applying for about 3 wks now. 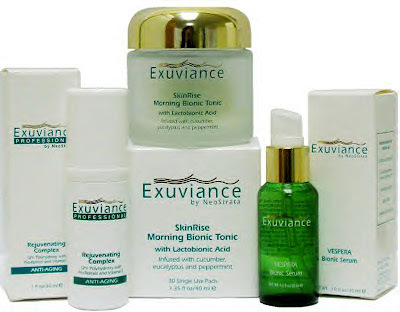 Skin is smoother.Looking to buy more from the Exuviance line. I use the morning Bionic Tonic and I love it because my skin is dry and this thing really wakes you up and tingles. I think my skin is smoother because of it.